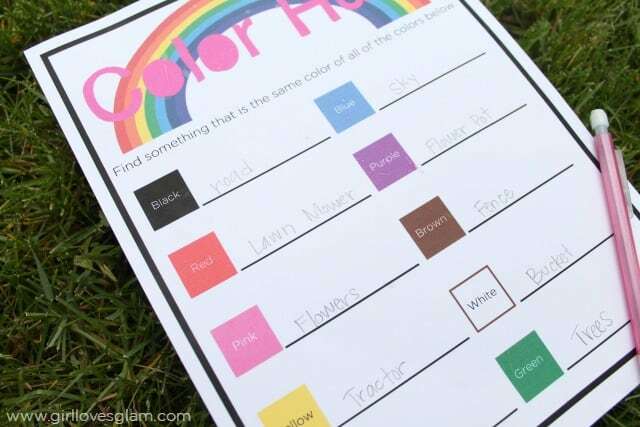 I love finding fun activities that can be turned into something that is educational too. My three year old is at a pretty crucial age for learning. Thankfully I have an awesome teacher husband who can give me suggestions of different preschool activities I can do with our daughter each day that will be best for her particular stage. He mentioned that having activities where preschool aged children can match up different things and solve simple puzzles is great. 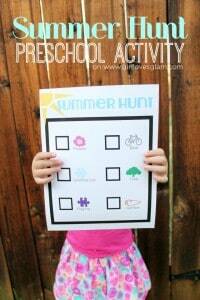 He suggested doing some sort of preschool scavenger hunt with her where we could implement colors too. 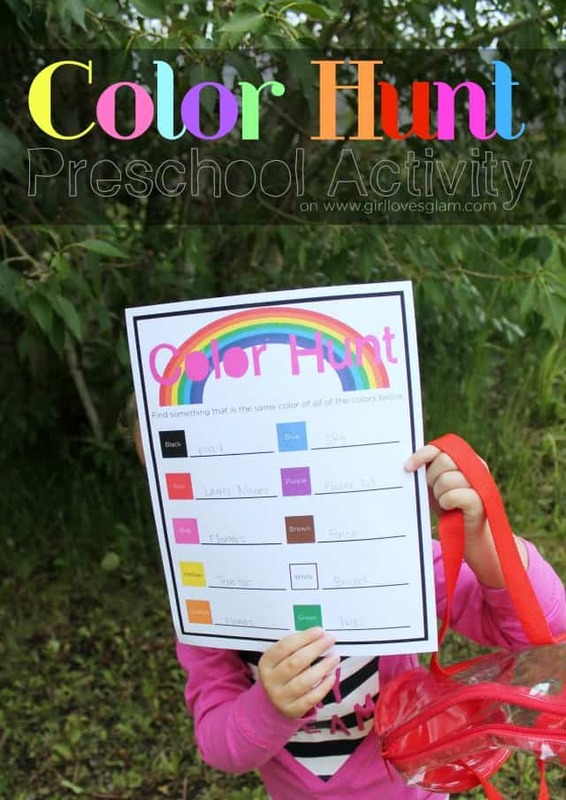 That is where the color hunt preschool game printable was born! 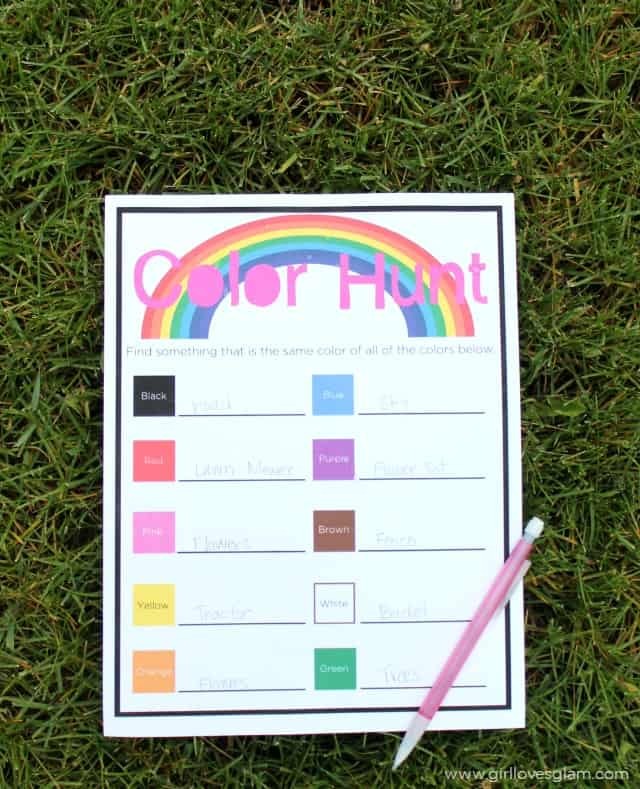 The color hunt is an activity where kids can search for different items that they can find that are the colors on their color hunt sheet. This activity can be done both indoors and outdoors, but it is especially fun to do as an outdoor activity. My original plan was to treat it as a nature walk type activity, but we have been getting a lot of rain (and freak hail storms) lately and I wanted to stay close to our house in case of rain. We stuck around our front and backyard and had a great time! 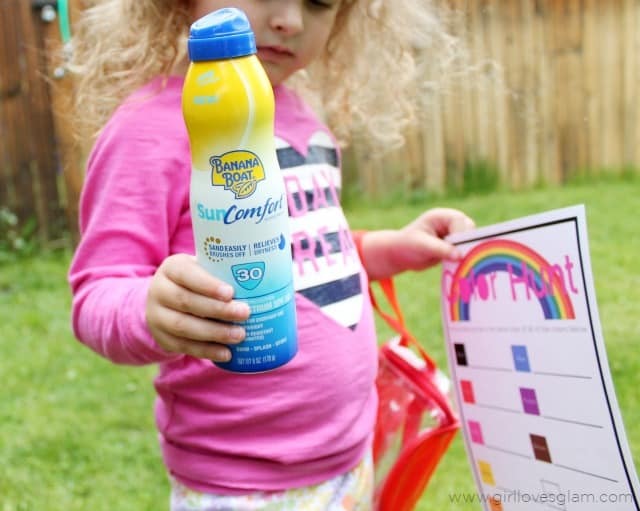 Although we weren’t going far from home and it was an overcast day, we still made sure to put our Banana Boat SunComfort sunscreen on. We have had a few skin cancer scares between some friends and family members and I am a firm believer in rather being safe than sorry when it comes to sun rays! 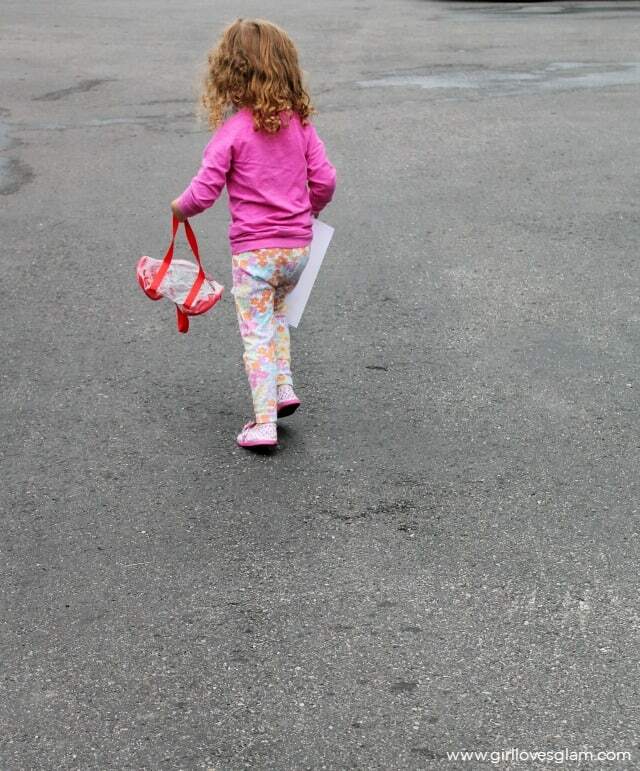 I had her carry around the color hunt sheet and point out one of the colors on the paper. She would tell me what color it was and I would ask her if she could find something outside that was that color. Once she found something, I would write down her answer on the sheet. 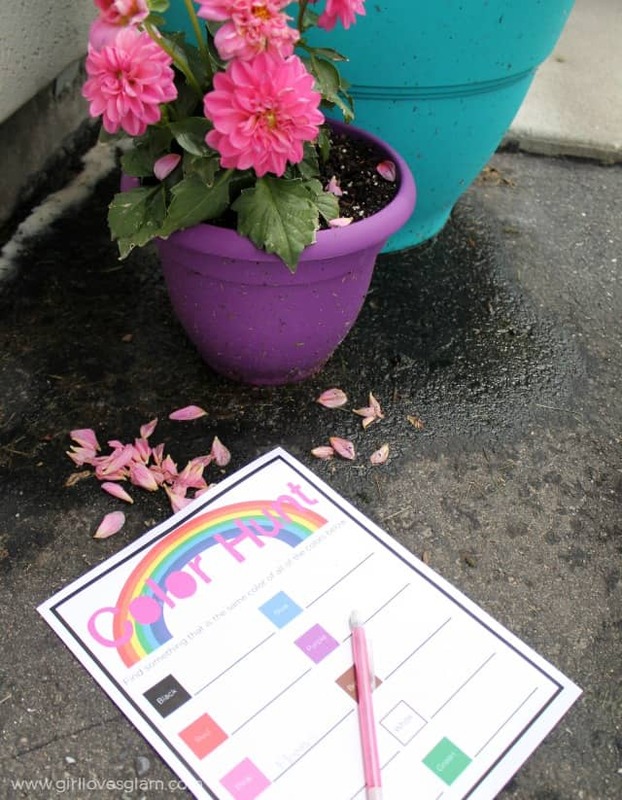 As kids develop the skills to write, they can even take a turn to write their own answers in! I was so impressed with her creativity in the items that she pointed out! I love color and we have a lot of it at our house, so I was sure that she would just point out every flower and flower pot around. She totally surprised me and found items that weren’t directly in front of our house, or weren’t necessarily an “item” at all… like the sky as her blue color. It was a lot of fun for both of us! 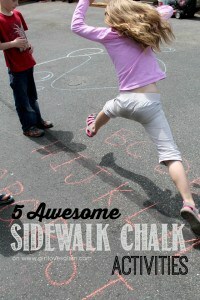 I totally plan on whipping this out again this summer as a family activity when we go for an evening walk. Each time would be so different! 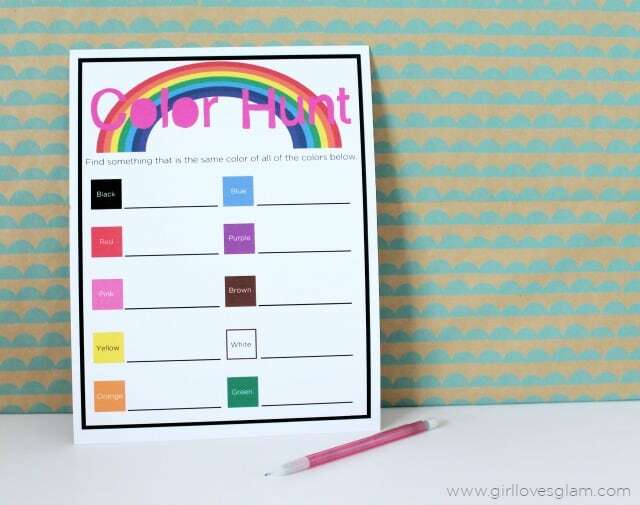 You can print out your very own Color Hunt free printable too! You can download it by clicking on the link below. For some reason on my computer, when I go to that link it looks really weird and doesn’t look like all of the colors are showing up. When I actually download it from that page, it all shows up. So if it doesn’t look like all of the colors are there, just download it and it will be just fine! Please make sure that you protect your family from the sun as you play outside and find all new ways to learn and discover together! 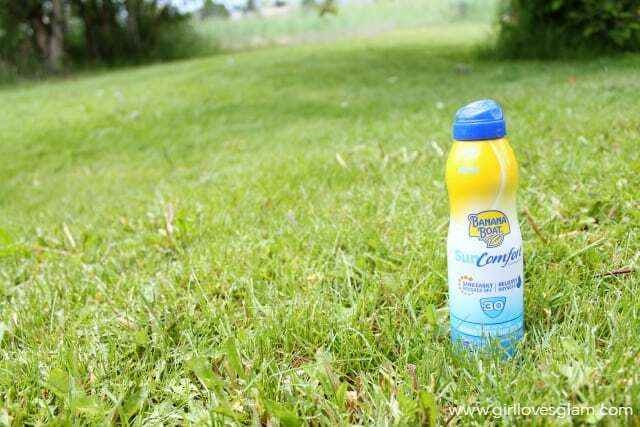 Banana Boat SunComfort UltraMist Sunscreen is a great option for us because it can spray on easily so that it can be applied quickly, it keeps our skin moisturized, and it is a water-resistant formula. Keeping my family safe with its broad spectrum UVA and UVB protection in its SPF 30 and 50+ options is really important to me and I hope that you will make it an important issue in hour home too so that you can have the freedom to have fun in the sun without worrying about the harmful effects of the sun! 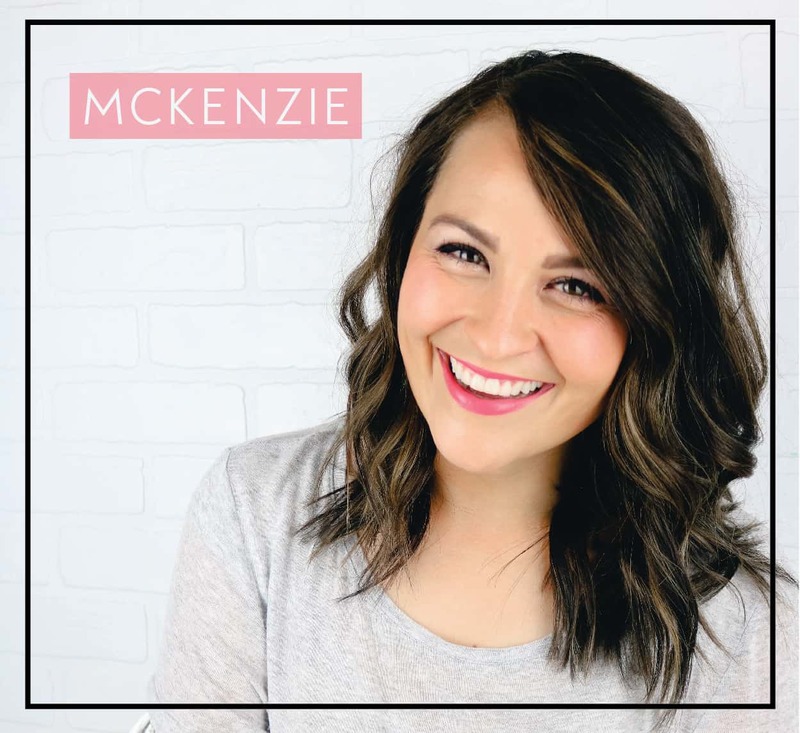 I am excited to hear what types of items your kids found and what you enjoyed watching as they learned and discovered for themselves! 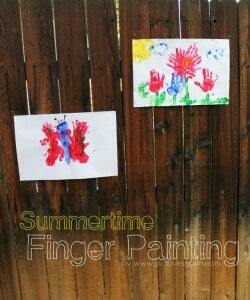 Check out these other fun activities to do with your preschooler too!